Not sure what the target market is for this dram. But if I was a barista I would end up using this cup more like a Jigger to measure out espresso shots for larger drinks. 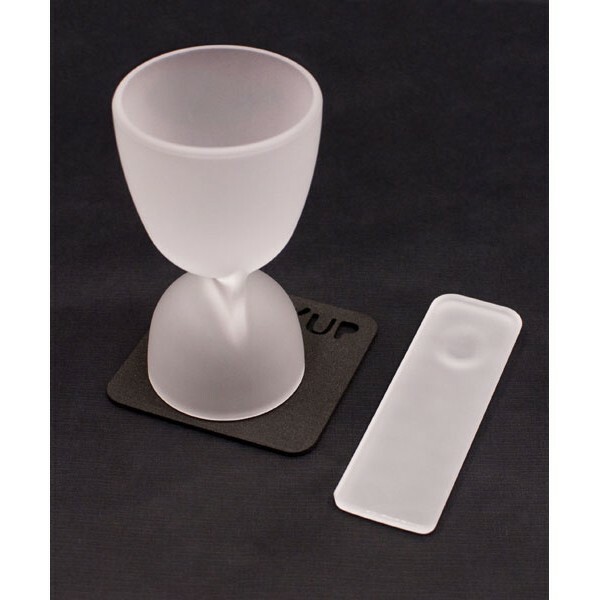 The C’UP Air is a premium product, made with pressed glass and is 13 cm tall. And measuring with a 6 cc side and a 14 cc side. But coming in at the premium price of Ã¢â€š¬ 40.00, or $52.31… PER GLASS. I’m probably going to be in the look but don’t touch camp on this one. Although i do have to say as pleasing to the eye as the design is. The espresso demitasse is functionally useless since you wouldn’t be able to fit it under any machine I’ve seen. Still a neat concept, just pour execution. 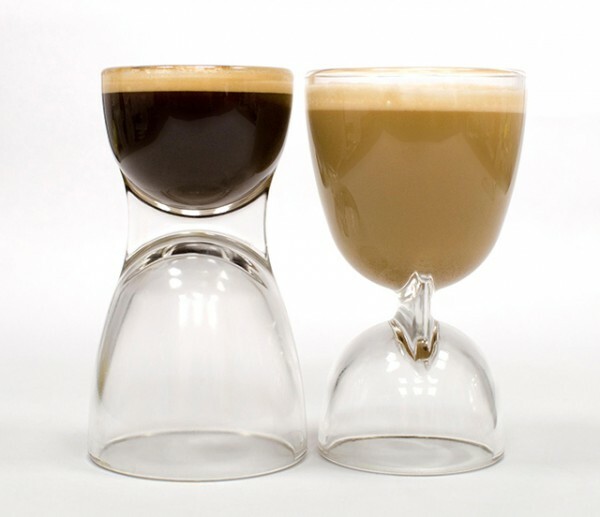 I’d much rather like to see a single sided but layered experience a demitasse with a larger well for a drink somehow intertwined.